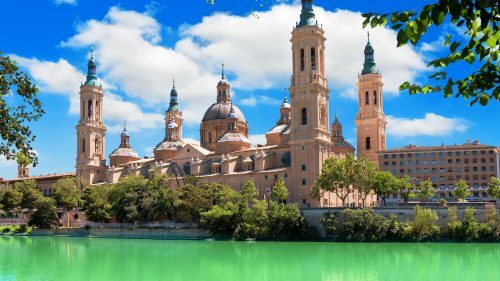 Despite its beautiful location in a picturesque valley by the river Ebro, and an incredibly rich historical heritage, Zaragoza is refreshingly untouched by mass-tourism. Most travellers know it only as a train stop on the way from Barcelona to Madrid. Zaragoza benefits, however, from its location right in the middle of everything. 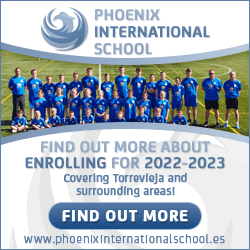 It is a dynamic and modern town, while still maintaining an authentic Spanish identity. The food and bar culture is unique, the city a real architectural treasure and a growing young population guarantees a busy night life. 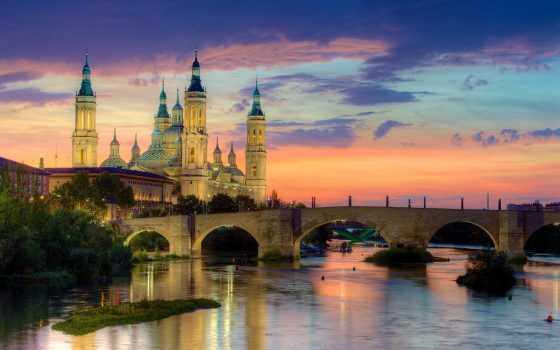 Why should you visit Zaragoza? I guess that being a local, it is too easy to say that this is just a beautiful place, full of history and curiosities that surprise our visitors. When we are planning a trip to a foreign country, we never miss the capital and the most representative cities but we often fail to visit other places that, sometimes, are even more interesting than the well known ones. Zaragoza is one of these places, not as famous as Madrid or Barcelona, but way older than both of them. It is often underestimated but never ceases to amaze its visitors. 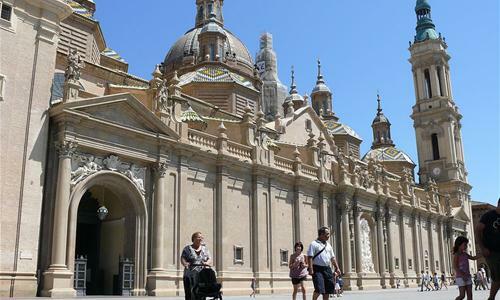 You cannot miss one of the biggest cathedrals in the entire country and the biggest basilica at the same time, Roman remains and history and, of course, local tapas and gastronomy. Having the chance to make people discover the city where I was born is a complete privilege. I feel that, in certain way, I’ve become an ambassador for one of the cities I really love. Although you do not have to be a local to be a good guide, it always adds something extra, and this is something that our visitors always appreciate, because getting to know a place does not mean just visiting the iconic buildings but getting involved in the culture and experiencing the “local” life and the atmosphere. Being a traveller myself, I know that this could be the best way to know about a place. What are you waiting for? I will be waiting to show you around with a GuruWalk tour and I will let you know all about this beautiful place ! ! Opening hours Normal opening hours for shops are Monday to Saturday, 10.00-14.00 and 17.00-20.00. Larger stores stay open all day. Many businesses including restaurants and bars close for holidays in August. 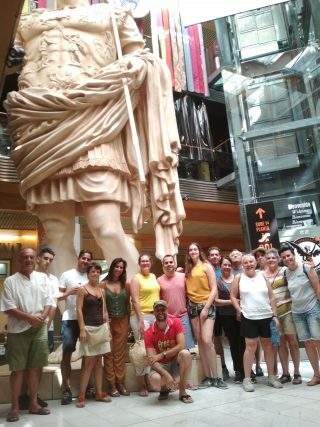 This is at Gran Casa Shopping centre in Zaragoza. I can’t promise you that you’ll be lucky enough to see a flash-mob but I hope you enjoy your visit to the city and capital of Aragón.